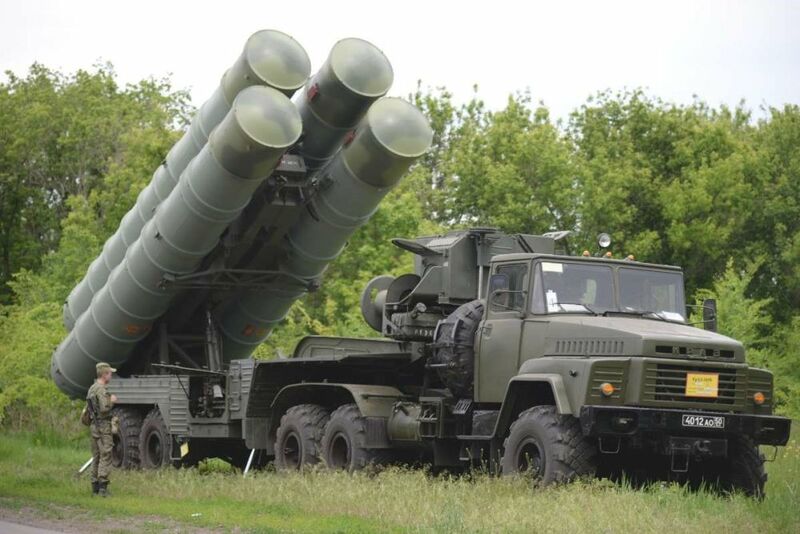 Still strongly implying Russian collusion, the Syrian military officials declared that the Israelis knew perfectly well that the S-300 was not ready for use and exploited this information. They went on to say: “Russia may disapprove of the Israeli air strikes in Syria, but they will not intervene to stop them as they currently have an agreement with the Netanyahu administration.” Syrian officials have never, in the more than two years of Israel air strikes in Syria against Iranian targets, referred to the Russian military’s non-interference or its connection to a Putin–Netanyahu deal. Damascus’ frustration is further compounded by its inability to take direct action against Israeli air strikes, because they are launched from next-door Lebanon’s air space. The Syrian official made it clear that Damascus has no wish to violate Lebanese sovereignty. You can read more about this intriguing turn of events in the coming issue of DEBKA Weekly (for subscribers) out next Friday, April 19. To sign on, click here. Russia's change of alliances from Iran to the West will be good for all. When Russia first started working with its makeshift alliance with terror states and groups I said that it would not last – there is only room for one Hegemon in the region – and it will be ether Russia or Iran but not both. Soon Iran will be openly carrying out terrorism against Russia through its proxies. At that stage it will be time for an alliance of a different nature to snuff out the Iranian supremacist terrorists who are far away from home and spending the huge wealth of their nation on their hate-driven projects. Soon Israel, the USA and Russia will be on the same page. It will be interesting to see how the Russians handle terror against their interest by Iran. They wont ‘soft pedal’ it like the Americans. …which is why there won’t be any. As stated many time it is a No Brainier for Russia knowing Israel’s far advance Technological, Banking, and Cultural Powers are far superior than anything the Iranian Theocracy can create, conceive, or produce. The Shiia of Iran will always keep Iran in a Medieval Middle East Backward State until the True Persians that once worked with Judaism Return Iran to its Rightful Place as a Leader in the Middle East not a Weakling. The 21st Century demands Smarter People with Collective Mind not 7th Century Shiia Thinking! Real superiority ; See people live in Israel in the or under poverty line ; Minimum wage guarantee , can guarantee an end to everyone. Moreover the systematic killing of senior citizen and taking away their earning and properties , will find its way to ICC. Real superiority by thieves running the country making 1 million /month in kahooz with American killers. Yes they bombed this or that , what is the difference . No difference . When you beat someone constantly , that someone might get used to it , and one day hit you back . As far as Russian concern , the Israeli contacts and so on , make no difference . Russians have their own interests everywhere , and no one should forget themselves , neither Iranians or Israelis , since they are nobody’s play , sure not Israeli allies . Israel is nice country , but its end end is coming , as sad as it sound. solomeow, pussies like you have been predicting the end of Israel for 70 years. And Israel is STRONGER and SMARTER than EVER. What is on its last legs is the Fascist Regime of Iran and its dress wearing THUGolas. The swine likes to pretend that the squatters haven’t failed in every terrorist military adventure it has undertaken this millennium. They’re so strong that their highly trained snipers kill unarmed children every week. This is only a temporary situation, as Ezekiel makes it clear that ROSH will invade Israel supported by the EU Persia etc. Correct. And neither Syria, Persia, Rosh nor anyone else may touch Israel without God allowing it, which he will not do at this time. Russia/Soviet Union previously changed sides in 1941 after the Soviet/Nazi German (Molotov / RibbenTrop) Non-Aggression Pact, signed in 1939 and broken by Nazi Germany in 1941 when NG attacked its partner. This when the Communists Party Ruled, and known for Deception with Joseph Stalin Paranoia. The Russian People have nothing in Common with Iranian Shiia and are Far Smarter knowing Israeli’s have more in Common with the Russian People. Once Iran turns back to Smart Persians they will Welcome both Russians and Israeli’s as Partners not Shiia Subjects! I look forward to the day, soon Inshallah!, that Satans Ayatoolas end up like Gadaffi, Saddaam and Haman and his sons. This scenario is not what Ezequiel 37-38 says will happen in the last days. The US should take over the oil fields of Iraq, lower the price of oil back to $10 per barrel, flood the world with cheap oil, and that will destroy fascist Iran and your death cult of Low-IQ knuckle-draggers. Folks in the middle east have long memories,and would therefore be unlikely to forget the above episode. Wow! Hizbollah did all that without existing as an organization for a decade! Wow. Now that is impressive. Hizbollah wasn’t around in the 1970s. Only when antisemitic terrorists occupied South Lebanon did the group come into being. Since then, the squatters have been in full retreat. You can’t rely on Russians they are cowards, they will abandon any country to save their skin: Cuba, North Korea, Serbia, Libya, Angola, they will abandon even Venezuela when situation becomes hot. Things will change and soon. Russia and those who support her will invade God’s chosen land of Israel. Nope. A pre-trib fundi interpretation of Ezekiel. It’s time to give up Hal Lindsey for some real scholarship. There are a lot of things that are wrong with the Russians – but they are not cowards. stupid remark. very stupid. must be a democrat!!! Iranian money is running out that was used to keep Russia under the Iranian thumb in Syria. This is what is resulting in Russia and Iran having disagreements in Syria. Anyways, getting involved in Syria has cost Russia Ukraine next door politically, territorially and religiously. Putin is not crazy enough to sacrifice Ukraine for Syria unless Iran has been paying the price tag for Russian involvement in Syria until now. The Iran government publicly proclaims that Israel has no place in the world, making Israel’s strikes on Iranian supported Syrian military targets self-defense. As for the Syrian military, poison gas was my red line – any power that works to degrade Syria’s military has my admiration. There is a story about Gas and Oil behind and the rest that we see is only marketing. In other news, other sources report that sources close to Avgidor Lieberman are thrilled with his recent stomach stapling and hope that he can lose 100 kilos by 2020. Russia has a respect for Israel. They do not want to fight the IDF. THE REAL REASON IS THAT RUSSIA HAS MUCH TO LOOSE IN SYRIA WHEN IT IS ABOUT THEIR MILITARY EQUIPMENTS. ONE THING IS SURE THE RUSSIA MILITARY EQUIPMENT ESPECIALLY THEIR MOST POPULAR AND SO INVINCIBLE S400 , S300 THEIR ELECTRONIC WARFARE SYSTEM AND SO OVER EQUIPMENTS OF RUSSIAN ARMY HAVE FAILED IN SYRIA. RUSSIAN KNOWS IT. SYRIAN BATTELFIED IS ALSO A MARKET FOR RUSSIAN MILITARY INDUSTRY. I see you are still using your Apple ][ with Upper Case Only.